The alphabet may only have 26 letters, but it doesn’t stop new alphabet apps from popping up on the App Store. The latest to join the trope is Alpha Zoo, an app about, well, the alphabet and animals. Created by a team of “slightly bonkers dads”, it features a bright interactive world where letters of the alphabet are reimagined as “brilliantly bonkers animals”. There’s plenty of word-play fun too, as each animal comes with a tongue-twisting rhyme. Alpha Zoo comes with two play modes: play through alphabetically or choose any letter you want. You can toggle between upper and lowercase letters, or mix both. It’s also possible to use phonics instead of letter names. Kids first learn to trace each letter by following the dotted lines. Once finished, they will meet the animal whose name begins with that letter. For example, a caterpillar for C, a walrus for W, or a prawn for P.
The interesting thing is that the animal(s) will pose in a way that resembles that letter. In R for raccoon, for example, the raccoon will look sideway with one leg behind him and his tail curled up to the back of his head. Additionally, kids can tap on the animal to watch it animate. Each animal also comes with a silly rhyme. It is narrated in British English, with the text highlighted as it is read. They can move on to the next letter or animal once the reading is complete, or repeat the same letter by tapping on the button on the top right. Alpha Zoo is the brainchild of three dads who, between them, have 30 years of combined experience working in the creative industry. The app was successfully funded through Kickstarter last year, but only recently unveiled. It also has a book counterpart available through Amazon, but it is currently out of print outside the UK. The app is available as a free download with letters A-C unlocked. You can unlock the rest of the alphabets through a one-time in-app purchase. Parents must enter the correct number combination to proceed with the purchase. Update: as of v1.1, Alpha Zoo is completely free to support SpecialEffect, a charity that helps some of the most severely disabled people enjoy the fun and inclusion of video games. The app doesn't contain any ads, but it does include a completely optional website link where you can learn more about their supported cause. Alpha Zoo is not be the first app to reimagine alphabet as animals (Alphabet Animals and Alphabeasties already did it last year), but it executes the concept beautifully. The poses for each animals are amongst the most creative I’ve seen, and easy to remember. The animation is lovely as well. I like that you can toggle between upper and lowercase letters, mix both, and even use phonics. Text and audio narration reinforces learning, and the silly rhyme for each letter/animal combo is just icing on the cake. My only gripe with the app (and many other apps that include letter tracing, actually) is that you have to follow the order of strokes exactly. This is just a minor issue, but it does cause some frustration if you teach your kids to write differently. Alpha Zoo is a bright and colorful interactive app that reimagines the alphabet as quirky animals. Fun 3D animation engages kids as they trace each letter and then listening to silly rhymes. 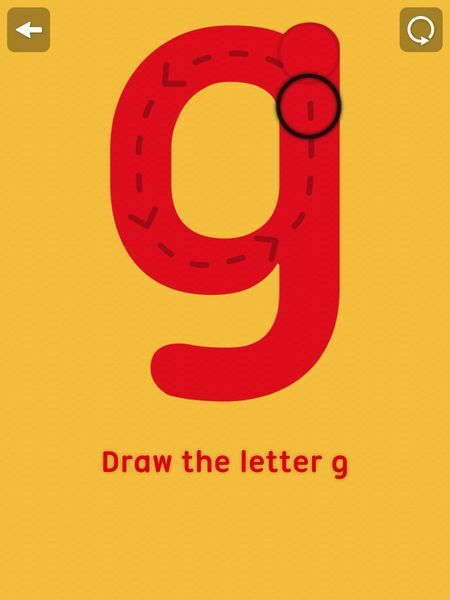 The app may not be the first to teach kids the alphabet, but it’s wonderfully executed. A must try if you’re still looking for new alphabet apps to add to your child’s collection. App was purchased by us.